Green Leaf Lawn uses the finest commercial grade state-of-the-art fixtures to create the perfect holiday display to amaze your family, friends, and neighbors. Captivate them with incredible outdoor holiday lighting displays that will be remembered for years to come. We offer a specialized, all inclusive service which includes the design, installation, maintenance, takedown and year round storage of your holiday lighting. We are experts when it comes to Tulsa Holiday Lights. You’ll be in awe of the amount of knowledge we bring to the table and the expertise we can truly deliver every year. Give us a call today at 918-640-6405 if you need any more information about setting up a consultation and a free estimate for your homes Tulsa holiday Christmas light installation. You can also visit our website at www.greenleafweedcontrol.com to learn more about the company and the founders, Jamie Nix and Josh Mathias. When you get the experts from Green Leaf Lawn you’ll enjoy personal service and a long track record of outstanding work. Once we understand your expectations, needs, and the scope of the work, we create a personalized maintenance program to meet your budget and aesthetic goals. We offer a comprehensive range of maintenance services and the desire to exceed your expectations and protect your landscape. We offer turf maintenance, spring cleanup, fall cleanup, tree and shrub care, shrub bed maintenance, aeration, spider barrier treatment, turf fertilization and weed control, tree pest management applications, flower color programs, and aquatic weed control to name a few. Our year-round seasonal services will have your lawn looking incredible on a daily basis. At Green Leaf Lawns, our lawn and tree care programs are designed to give you a healthy, beautiful landscape you can be proud of. We have friendly certified technicians and certified arborists to assist with any questions you may have. Our customized lawn care program will provide your lawn with essential nutrients needed for overall health and vigor. It also includes broad leaf weed control, crabgrass, pre-emergent and insect protection. Our customized tree and shrub program provides essential nutrients for root development, growth, overall health, and vigor. It also provides insect and disease protection. There are many damage causing insects and diseases that attack plants at different times of the year. Our program is customized to provide insect and disease protection throughout the entire season. Our certified technicians will inspect your entire landscape and make any needed recommendations on every visit. We truly care about the lawns in the Tulsa area and taking care of the people in this great city. Please fill free to visit our website today for more information on our company and how we can serve you and your family starting today. Green Leaf Lawn allows everyone to enjoy your landscape long after the sun sets. Evening gatherings become a stylish and embracing atmosphere. Your friends and family will feel welcomed and calmed. Adding Tulsa Holiday Lights will add beauty and security to your home. Nothing says the holidays like festive lighting. Here at Green Leaf, we take your personal style and holiday spirit and turn it into your own personalized seasonal expression. Our staff is meticulous about light placement to create a flawless design that your friends, family, and neighbors will enjoy! The holidays are stressful enough without having to untangle, hang, and take down your seasonal lighting display. Give us a call today at 918-640-6405 for more information on how you can receive expert Tulsa Holiday Lights. 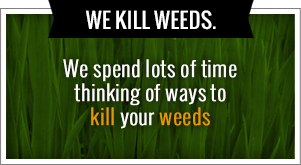 Our website is www.greenleafweedcontrol.com, and it is therefore you if you have any questions about our company and what we can do for your home and lawn. Our Turf Enhancement Engineers program is the best way to keep your lawn and landscape looking beautiful all season long. Let our lawn care and maintenance crews take care of all of your grass needs including fertilization, herbicide and insecticide treatments, lawn mowing, irrigation maintenance, and leaf removal. Green Leaf Lawn services also includes maintence for your landscape to protect the aesthetic value of your property. We install and maintain mulch, fertilize beds, apply herbicide and insecticide treatments when necessary, provide spring and fall clean-up, as well as shrub and tree pruning. With Green Leaf looking after your grounds, you can rest assured that your property will look pristine through the seasons. Our maintenance crews will make sure your landscape needs are taken care of by ensuring professional and courteous customer service. 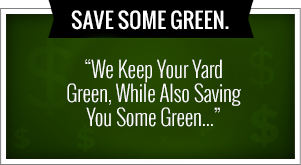 It’s never been easier to maintain a beautiful lawn than it is with the experts at Green Leaf. Make safety your number one concern. Survey your landscape space for any potentially harmful concerns such as large standing dead trees. Never attempt to remove trees on your own. Always consult with a professional. For do-it-yourself projects, map everything out on paper. Take measurements of your landscape areas. Choose particular plants based on their best growing potential in certain areas of your property. Take note of problem areas such as poor drainage and erosion problems. Plant items next to one another that have similar requirements. Perennial plants still require care to grow and come up every year. Do your research! There are plenty of beautifully colored plants for spring, summer, and fall. Re-seed bare grass spots between mid-April and mid-October. Water the area for at least 3 weeks afterward. It’s never too early to begin your landscape design. You can contact us at our office 918-640-6405 and set up your consultation right away!